Monitoring sport against corruption is a full-time job. How many sporting fixtures take place over the course of a year? Deloitte reports that in the UK alone, more than 70 million tickets to sporting events were s old during 2015 – more than one ticket for every person. That is just professional sport – it doesn’t count reserve games, amateur sport and other ticketless events. However, as has been consistently highlighted by those involved in anti-corruption initiatives in sport, it is not just the fixtures that need monitoring, but also the people involved in them. As background, I thought it would be interesting to take one sport, and attempt to work out how man y people are involved. I chose football, arguably the world’s most popular sport, and used conservative estimations. I calculated that there are likely to be at least 9,300 professional football clubs in the world. Women’s football is a growing area, and one that match-fixers are targeting. At a conservative estimation, there are 300 women’s football teams. Add reserve and youth teams, and the numbers multiply again to over 20,000 clubs. Again using a conservative estimation (i.e. 15 players per team), we are looking at over 300,000 people invo lved in football. For the majority of clubs and teams that we have discussed, somebody, somewhere will be offering betting odds on the outcome of their fixtures. That means that sports integrity regulators must keep track of over 300,000 people – and that is just in football. Football is only one sport – a difficult one to fix at that. The numbers involved are important. There are only 128 professionals on the world snooker circuit. The Professional Footballers’ Association (PFA), the trade union for professional footballers in England and Wales alone, has over 4,000 members. This makes delivering anti-match-fixing education more of a challenge in football than in snooker, for example. Football and sport are now a business. The FA Premier League has become truly global in nature (it currently has broadcasting deals in 212 territories, giving it a potential cumulative audience of 4.7 billion). However, this global reach also means that sports betting is no longer confined to the country in which a professional league resides. At the same time, the internet has allowed both online and offline betting to become more sophisticated, as sports betting operators can learn from their peers how to offer more innovative and complicated bets. When looking at the potential numbers involved in football betting, I came across a number of different bets that could be placed on 10 July, in football’s ‘off-season’. Many more bets are available during the football season. Stuart Page, ICSS Director of International Policy & Anti-Corruption, told me that on a trip to Tanzania, he was astonished that he could go into a shop and place bets on Australian rugby league. He asked if anyone had actually seen the NRL – no, but we bet on it, the answer came. However the global reach that allowed Page to bet on Australian rugby league in Tanzania has also connected humans better than ever before. It is now possible to trace somebody’s history through their social media accounts, which will reveal where they have been and who they have been with, as will phone records. This can turn up some surprising results. For example, I understand that rather than send emails, match-fixers now get around the monitoring systems by setting up a google account and saving messages in the drafts folder. They then share the login details. As the message has never been sent, then traditional communications monitoring fails. The gross gaming revenue (GGR) of the regulated sports betting market was estimated at US$58 billion in 2012 and is forecast to reach US$70 billion in 2016. In 2013 at a World Sports Law Report conference, Ladbrokes, one of Great Britain’s largest regulated operators, pointed out that it is one tenth the size of the Hong Kong Jockey Club (HKJC), and that the HKJC is one tenth the size of the illegal Chinese gambling market. Between US$250 million and $1 billion is staked on the outcome of every Indian Premier League cricket match, and US$2 billion on India v. Pakistan cricket internationals through the illegal market. In the December 2014 ICSS/Sarbonne report, ‘Fighting Against the Manipulation of Sports Competitions’, Professor Laurent Vidal estimated the size of the illegal industry at between $750 billion and $1 trillion. “The sports betting industry is estimated to be up to about US$1 trillion” Stuart Page told me last year. “That represents the regulated market. The black market is estimated at about US$500 billion – about half of the size of the regulated market. Both Vidal and Page were working for the same organisation. That’s not to knock the ICSS, but the fact is that nobody really knows the size of the illegal Asian market. This is because it is largely cash based and loosely-structured. And yes, it’s illegal. This often means that there is no paper trail and we only hear about it when it intersects with the regulated market. Integrity bodies often monitor the betting markets to detect a fix. This is still the most reliable way to detect a fix, as what happens has to happen on a betting market. Regulatory authorities are becoming more confident that a conviction can be upheld based on such patterns. I understand that Albanian club FC Skenderbeu was involved in fixing 73 clubs over four or five years, and suspicious alerts had been sent to UEFA over four or five years. CAS has recently dismissed the club’s appeal against its sanction, and I understand from those involved in the case that it felt the evidence – which largely came from Sportradar’s analysis of the betting patterns – was strong enough to uphold the conviction. This method was used to convict five Nepali footballers last year, where additional information, again provided by Sportradar’s Integrity Services, was used to arrest Singapore nationals in Moldova who had connections to the Nepali fixers. These monitoring systems are being bolstered by investigatory units, which sports integrity organisations such as Sportradar are setting up in house in order to cross the threshold that sports authorities and criminal prosecutors need to bring an investigation forward. The idea is to process intelligence that highlights the connections between the foot soldiers – which the monitoring system will identify – and the organisers of the fix. This was previously left to sports organisations or the police, however they often have other priorities. By taking the information they can provide a level further, sports integrity companies hope that sports organisations and criminal organisations will take more cases forward towards a prosecutor. It appears that – at the moment – spot fixing is not as much of a threat as it could be, due to limited liquidity in the market. In 2015, a study was produced by the Asser Institute of Sports Law for the German Olympic committee (DOSB), entitled The Odds of Match-Fixing – Facts & Figures on the Integrity Risk of Certain Sports Bets. It found that there is no proven link that in-play or spot betting makes a sport more susceptible to match-fixing. This is because large volumes of bets in a limited market are suspicious and expose the traders to risk. The problem with football is you can put a significant amount of money into the market which will give you a good return, where it won’t look unusual. This is what Wilson Raj Perumal attempted to do in the lower divisions of Australian football. Control of clubs and players in football appears to be a particular problem. Last year, FIFA warned against a new approach being used by match-fixers, who are posing as sponsors and investors in order to influence players and coaches. “Fixers are not using sponsors, but are acting as sponsors and investors based on false promises, sometimes even using false identities, business cards and companies”, a spokesperson told The Sports Integrity Initiative. “Such fixers offer money and sometimes even players and coaches to given clubs, thus enabling them to gain control on the pitch”. This is actually happening now. In May, Portuguese police & Europol dismantled a transnational crime group composed of Russian mafia who laundered money by assuming control of European football clubs in financial distress. They did this to launder money through match-fixing. This is also one of the methods used by Wilson Raj Perumal. He was behind fixing in the lower English leagues in 2013, exported corrupt players to Australia for the Southern Stars case in 2013, and may have fixed further games there in 2014. 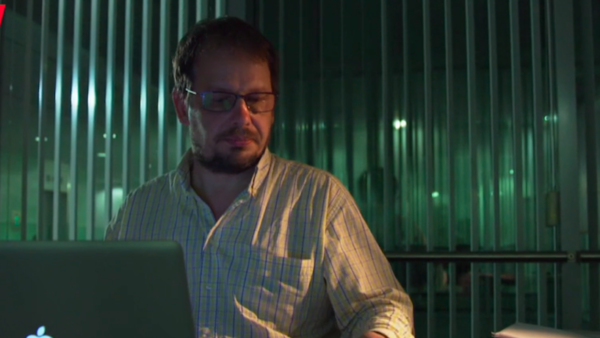 Has also been sentenced for match-fixing in Finland, questioned by Hungarian police and potentially involved in the 2013 Europol Operation VETO investigation, in which match-fixers were found to have made €8m by fixing up to 380 games in 15 countries. This year, it was also revealed that he has infiltrated Dutch football. Ibrahim Kargbo, who played for the club Willem II, had a meting with Perumal about the loss of Willem II in a match against FC Utrecht. In an interview with Al Jazeera in a programme called ‘Killing the Ball’ broadcast on 19 February 2015 (video below), Perumal said that he had played a part in the qualification of five of the 32 teams that took part in the 2010 FIFA World Cup. He explained that Football 4 U International had been set up in 2009 to fix international friendly games for illegal bookmakers, and that he had fixed qualifying games for the 2010 World Cup. As shown in the documents below, he has also used similar companies to gain control of clubs in other countries. Sentenced to 30 months imprisonment for attempting to fix a Malaysian Super League match between Lions XII and Sarawak FA on 22 May 2012. Linked to Dan Tan. Re-arrested in December 2015 – now understood to be free again. Linked to Wilson Raj Perumal. This year, an ABC programme alleged that Wei Seng ‘Paul’ Phua was involved in laundering money made from illegal Asian gambling through high-rolling poker games at Melbourne’s Crown Casino. Phua allegedly heads IBCBet, based in Manila, understood to be one of the world’s largest gambling companies turning over US$7 billion per month. He has been arrested in Macau and the US in connection with illegal gambling. When questioned by the programme makers, President of the International Tennis Federation (ITF) David Haggerty had not heard of IBCBet – which takes bets on tennis – or Phua. An ICSS claim that up to 60 Canadian Soccer League games were fixed during 2015 was questioned by CSL. Again, linked back to Ante Sapina. “We are, of course, surprised and dismayed by the report and the story, given our resolve in recent years to remove a stigma we have suffered from since the Bochum case involving one CSL game played in Quebec in 2009”, CSL spokesman Stan Adamson told The Sports Integrity Initiative, referring to a Trois Rivieres vs. Toronto Croatia game identified as one of 47 allegedly rigged by Croatian Ante Sapina, who was jailed for five and a half years by a German court in May 2011. Tennis is consistently identified as the sport with the most suspicious alerts reported by bookmakers. However, most of these are not in the upper reaches of the game, but lower down the food chain, where players need the money. Of the 48 match alerts received by the TIU from January to March 2016, just 1 related to a grand slam event. Of the 73 match alerts received from April to June, none involved a grand slam event. Once again, the numbers game comes into play. Within an editorial in ESSA’s second quarter report of suspicious betting alerts reporting to sport’s governing bodies, the Tennis Integrity Unit (TIU) said that the 48 alerts ‘should be seen in the context of the 24,110 matches played around the world in that period’, which it said represented 0.2% of all matches played. As pointed out above, it warned that the alerts only represented an indication that suspicious activity may have taken place. As recent investigations have shown, fixing often manifests itself lower down the rankings. Tennis is vulnerable – a 2014 study found that for 45% of the players in the sport, earnings only covered about 10% of their costs. This is where Belgian investigators were looking back in September last year. Argentina, Chile, South America and Russia are areas where the most alerts are received, often in relation to the lower- ranking Futures and Challenger tournaments, which typically involve younger players. An Australian investigation found that match-fixing in tennis has been systemic for over a decade, and that illegal Asian bookmakers have been taking bets worth tens of millions of US dollars on tennis matches. Unfortunately, sport’s lower rankings includes many women’s team sports. As one of our journalists – who is also a cricketer – put it: ‘A quick £10,000 might not mean much to Kevin Pietersen, but it’s more than many female cricketers will ever have earned’. As tennis’ issues have already shown us, fixers are targeting athletes lower down the food chain – and and betting market liquidity in these areas increases, women’s sport could be next. Criminals know it is far easier to create a corrupt fixture that doesn’t exist than it is to pay athletes to fix a result. SBOBET paid out on FC Slutsk’s 2-1 ‘friendly win’ against fellow Belarus side Shakhter Soligorsk in March last year – however, the match didn’t actually take place. No players took the field and a ball wasn’t kicked, no spectators were in the stands. Many lower-level matches are covered by just one low-paid betting scout whom the betting companies rely on for the information on which they base their odds. To the uninitiated, this may seem akin to the betting companies entrusting their business and brand to a subcontractor who has no clear corporate buy-in or job security, and whose background may have only been cursorily checked. In effect, the person right at the front-end of the business is essentially an unqualified amateur and is ‘turned’, for want of a better phrase, into a double-agent. A match between Portuguese and Spanish lower league sides Freamunde and Ponferradina in summer 2014 is often cited as a ghost match, however it was slightly different – a fake match. Players did take the field, however they were not players employed by one of the teams. And it’s not just football. In September 2015, the Federation Equestre Internationale (FEI) suspended an official following an investigation into two ‘fake’ endurance horse events. The data for the races was identical to that for a previous race, suggesting it had been copied. The reasons for this are still unknown. In April, officials at Slough and Chipping Norton were found to have colluded to make up the results of a rugby union match that had been called off in order to win points. Similarly, it has been alleged that Kenyan football and government officials colluded to make it appear that the women’s national team had travelled to Tanzania for an international game in 2012, in order to pocket money intended for the trip. Although there was no betting involved, the incidents shows that such things go on. Investigative journalist Declan Hill calls the match scouts who collect data for organisations like Opta the ‘foot soldiers of the sports data world’. He says that because they are ‘relatively badly paid’ they can be bought by fixers to ‘delay their reports by a few seconds’, thus giving betting syndicates the chance to get a very late bet in on the next goal scorer.‘If you can get accurate, guaranteed information before the rest of the market you can place a certain bet’, he writes on his blog. Such a practice is, unfortunately, not uncommon. Whilst visiting the Press Association’s (PA), Howden offices many years ago, I enquired why newspapers had been placed over the windows of a certain part of the open-plan office. That section of the office was responsible for relaying scores to betting companies. Employees had apparently figured out that there was a delay of a few seconds between the scores being received on the PA system, and the scores being relayed to the bookmakers. The newspapers were to discourage temptation. Fraudulent scout activity – such as delayed reporting of goals, for example by 30 seconds – can occur so that accomplices or handlers can place bets and effectively take advantage of insider information on what is happening in the match, before the rest of the betting market knows. A ‘sock puppet’ is an online identity assumed by somebody who pretends to be another person. It appears that a group of sock puppets are targeting Wikipedia, creating pages relating to naturalised Brazilians who have played for the East Timor national team. Investigative journalist and documentary maker Jack Kerr has been investigating this issue for some time, and reported on the sentencing of individuals for fixing East Timor’s U23 side. Again, such individuals were linked back to our friend Dan Tan. Wikipedia also reports that sock puppets acted on behalf of the Malaysian national team. The motives behind the ‘sock puppetry’ are harder to ascertain. A lot of the sock puppets are the main contributors to pages created by naturalised Brazilians playing for East Timor. Is it linked to betting? Corruption, trafficking of players? Something else? We just don’t know. What we do know is that many of the creators of pages for East Timor’s naturalised Brazilians have been banned for creating fake identities in an attempt to verify false information on Wikipedia. And Wikipedia can be used by betting companies to verify information. Such information now appears to have infiltrated the Opta database. Integrity organisations are also necessary in Esports. Fixed games have been identified through group chats, and professional teams have been banned. Korean authorities arrested eight suspects earlier this year. The 2014 StarCraft World Champion was arrested for match-fixing earlier this year. In October 2015, the Korea e-Sports Association (KeSPA) opened a disciplinary hearing following allegations of match-fixing and illegal betting in a number of StarCraft II matches earlier that year. Whether or not you consider playing computer games sport, it is popular. Tournaments take place in stadiums where 60,000 people watch two people playing a game. In Korea, it is televised. A huge unrelated betting market has been created in e-sports around decorative weapon ‘skins’ sold within the also hugely popular game Counter Strike: Global Offensive. When Counter-Strike released the weapon ‘skins’, it said that they let you ‘experience all the illicit thrills of black market weapons trafficking without any of the hanging around in darkened warehouses getting knifed to death’. That warning turned out to be prophetic, as ‘skins’ can be converted back into cash and a vibrant, unregulated, gambling market has been created where ‘skins’ can be wagered on the outcome of a Counter-Strike game. Some of these betting sites have got into trouble for supplying players with advance knowledge of the results of dice-roll games. All that journalists can do is highlight such information, as I have attempted to do above. However, there are areas that worry journalists. The regulated sports betting operators have been very successful in pushing the message that they are paragons of virtue and that match-fixing isn’t in their interest. However, they also point out that they can’t cede ground to the illegal operators through further taxation and regulation, which could make them uncompetitive. Behind closed doors, they worry that they will not be able to stay competitive against the illegal market. They reasonably argue that they are heavily taxed (illegal bookmakers pay no tax) and in order to stay competitive against illegal offerings, their profit margins are small compared to the large amounts of money that are traded through their internet sites and betting shops. 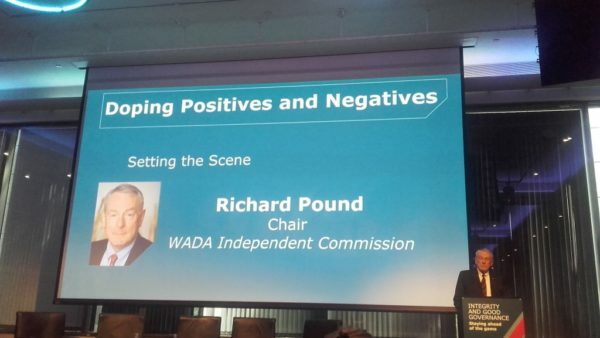 They fear that funding an overarching regulator such as the World Anti-Doping Agency (WADA) could end up being counter-productive, by making them uncompetitive compared to the illegal market. Money laundering is a big problem, especially in the cash-based unregulated Asian offline markets, where payments cannot be traced easily. In the ICSS/Sarbonne report, it is explained that using traditional methods of money laundering, you are going to lose 30 per cent to 40 per cent and keep 60 per cent. If you look at the illegal Asian betting operators, the return for the player can be up to 80 per cent or even 90 per cent. However, the report also points out that money laundering is tolerated in the regulated industry, which needs the liquidity it provides. Professor Laurent Vidal, the author of the ICSS/Sarbonne report, told me that regulated operators are sometimes aware that money laundering is taking place. A UK-based betting operator told him that he has some clients who are placing large bets every day. They believe that these people are laundering money, but they want to keep their client, so they turn a blind eye. However, the problem journalists have is that often,we only know when we have a good story, like this one, because people get angry. I would urge those within the integrity and gambling industry to try and engage in a better way with the media. Angry reactions towards media articles only enhance the perception that there is something to hide. The media can actually help investigate match-fixing, as it does with doping. Many of the major match-fixing and doping stories have come about as a result of media investigations. In certain situations, acknowledgement that there is an issue may not be such a bad thing. Sport is perhaps a unique in that it doesn’t just wear two hats – it wears many. Its first hat is athlete representation. It must look after the interests of the athletes it represents. Secondly, it wears a commercial hat. It must sell that sport to the highest bidder in order to grow and expand. Its third hat is more of a judge’s wig. Sport must prosecute athletes and clubs who break the rules. This creates a massive conflict of interests. Sport’s need to protect its reputation in order to avoid damaging its commercial interests perhaps explains why many of the integrity panels that have been set up, historically, do not allow even allow them to reveal that an investigation is underway (IAAF, ITF and before that FIFA). Such rules do protect the athlete and the sport’s commercial interests to an extent, however in the face of a major issue – such as the corruption allegations that have plagued athletics and tennis – they are actually counter-productive. It looks as if sport is attempting to cover up any issues, whether that is the true intent or not. Integrity panels need to walk a fine line. 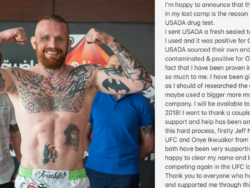 It can be very difficult to reveal that an investigation is underway without implicating a club or an athlete, which sport is there to protect. It is very easy, through ill-thought out appointments, to give the impression that an integrity panel is far from independent. These are just two of many reasons why many advocate that integrity functions should be handed over to an independent body. 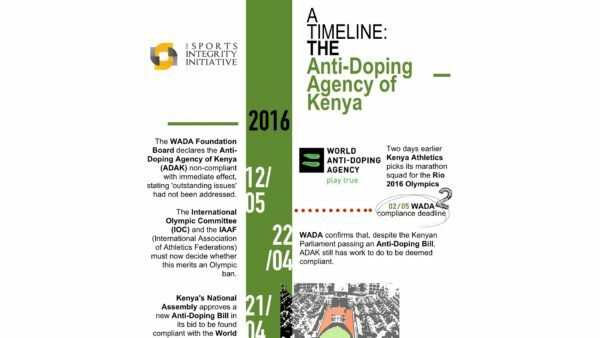 But this then raises the question – do we want another WADA? 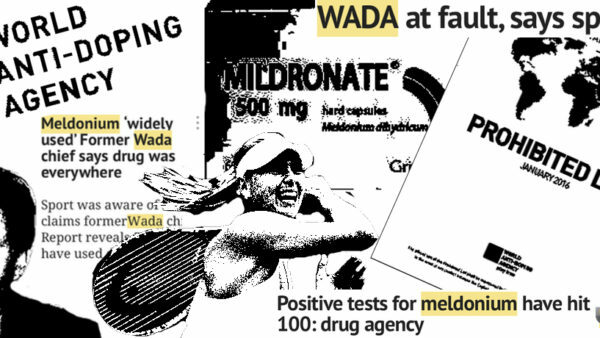 One of the problems with WADA is it has increasingly lurched towards a one-size-fits-all approach of putting the blame squarely on the athlete. 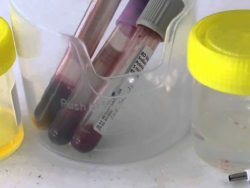 As the Russian revelations have uncovered, athletes sometimes have little choice in doping. It is also sometimes not their fault. The same can be true of match-fixing, when players are forced to comply due to compromising pictures or evidence held by the fixer. This becomes especially problematic when organisations such as the IOC and WADA reverse the burden of proof – Russians have had to prove that they are clean in order to compete. Do we want to create such an overarching system for sports betting integrity? One thing that can help is a sensible approach to education. Traditional workshops and seminars are fine, however they open the door to athlete defences, as they can claim that they weren’t listening or didn’t engage. Such defences have been used by Shane Warne and Maria Sharapova in doping cases. If you take education online, then this defence can be minimised, as you know how many modules an athlete has completed, how many times they have accessed the updates, if they keep up to date. It also allows you to watch and engage with those athletes who do not take part. Sport is broken. It has scared off the very people it is supposed to represent, who are now scared to come forward with any information for fear of prosecution. It needs to reconnect with those athletes. As mentioned before, sport is supposed to represent the athletes. 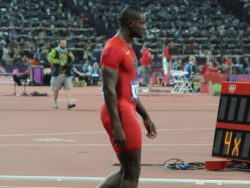 Rather than making anyone who falls foul of its rules a pariah – which plays into the hands of the fixers – why not use those athletes to educate others? Mervyn Westfield, for example, can speak to the players on their level about how what he did destroyed his life (see video below). There cannot be a more powerful message than listening to somebody who has been there and seen the damage. The mantra that we need to rid sport of the match-fixers and doping cheats is tired. In the eyes of many, other puppet masters are pulling the strings that lead to athletes being unwilling pawns in match-fixing and doping. Most athletes just want to compete. Sport has a month to regain athletes’ trust and convince the EU that it has earned its right to autonomy. Judging by the news that now fills our front and back pages, it appears that it may have failed. • This article has been adapted from a presentation given at MBL Seminars Sports Corruption 2016 conference on 14 July 2016. For more information on MBL Seminars Sports Law events, click here.